While the dining room isn’t often the star of the home, it does serve a vital function. It’s where families gather for holidays, homework is done, parties are held, and meals are eaten. 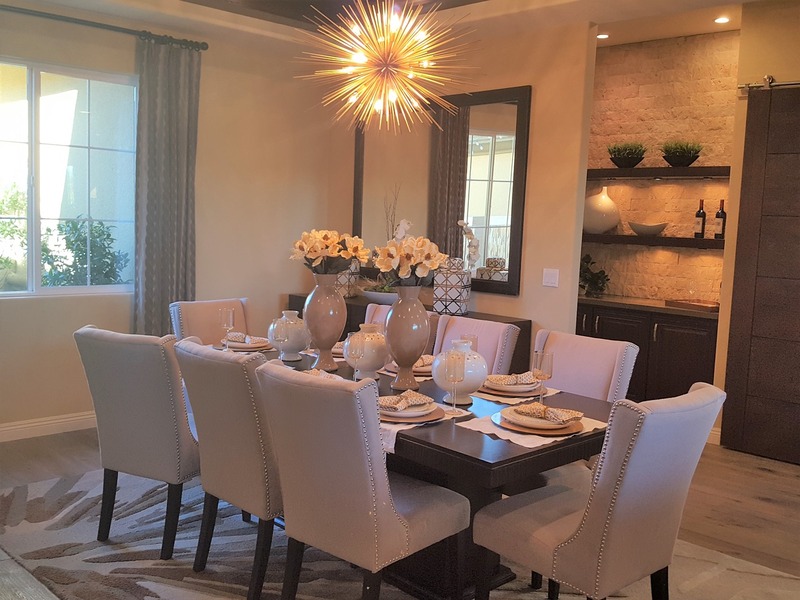 Here are a few great tips for planning the perfect dining room for your custom home! Dining rooms have gone through some drastic changes in home design over the past few years. Very few custom homes we build these days have formal closed off dining rooms. The trend these days is to embrace more casual, open concept eating spaces. When talking to your architect, make sure you think about what sort of floor plan you want as this will impact your dining room and overall design. No matter what style of dining room you go for, make sure you include lighting options. Having layers of lights and putting them on a dimmer is a great idea, and something to consider when planning the electrical of your custom home. Most people want it bright while they eat during the day, but dimming the lights for a romantic dinner is also a nice option. People love to entertain at their homes these days, and the dining room is typically where it happens. If you’re someone that loves to have people over, make sure you have the space for it. Having a big space for everyone to gather and sit is important. We always encourage people to think through what furniture they want in a space when designing. How many people do you want to sit at your table? Will there be other furniture in the room such as a hutch, sideboard, or bar cart? All of this should be considered before you decide on the final size of your dining room. Clients often forget that they need to plan for extra space around a dining room table to allow for chairs to be pulled out and people to walk around. This eats up more room than you think. Make sure to account for this extra space when determining the size! Storage is the key to any good custom home. Many of our clients are shocked by how much stuff they need to store for the dining room. Formal serve wears such as China plants, crystal glasses, or silver serving utensils are often kept in the dining room over the kitchen. Then there’s placemats, candles, holiday decorations, alcohol and more. All of this needs a place in your new custom home so make sure you plan for one. Want to get started building your dream custom home? Contact us today!